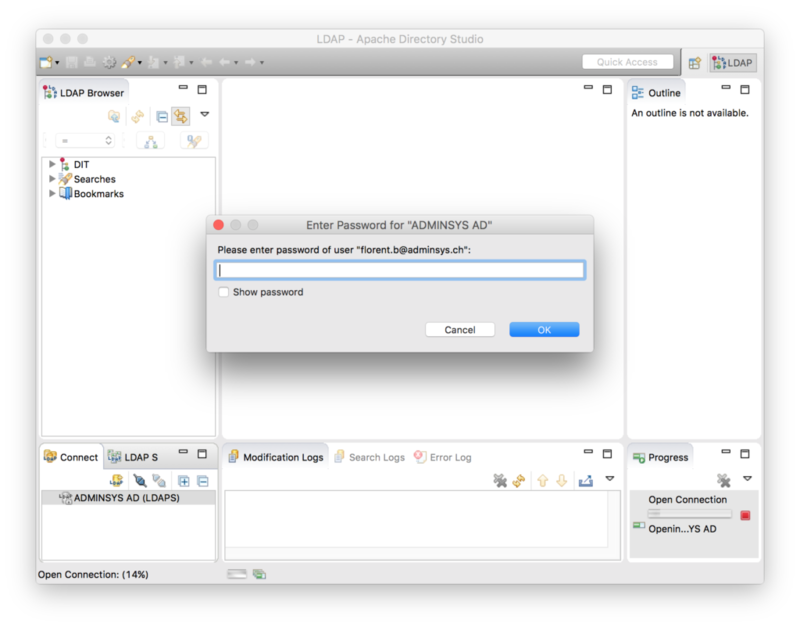 This entry was posted in Others and tagged Apache Directory Studio, LDAP by Florent B.. Bookmark the permalink. Man, thank you. 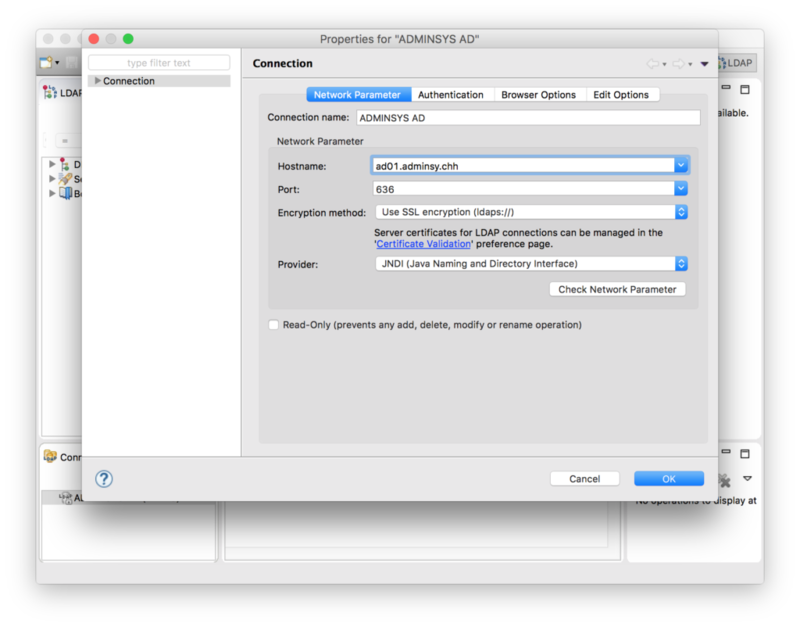 Apache Directory Studio was driving me also crazy …. i was not sure what the Problem was!! because previously it was working fine.